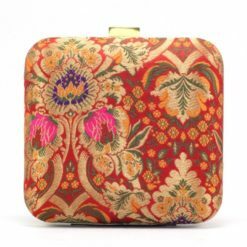 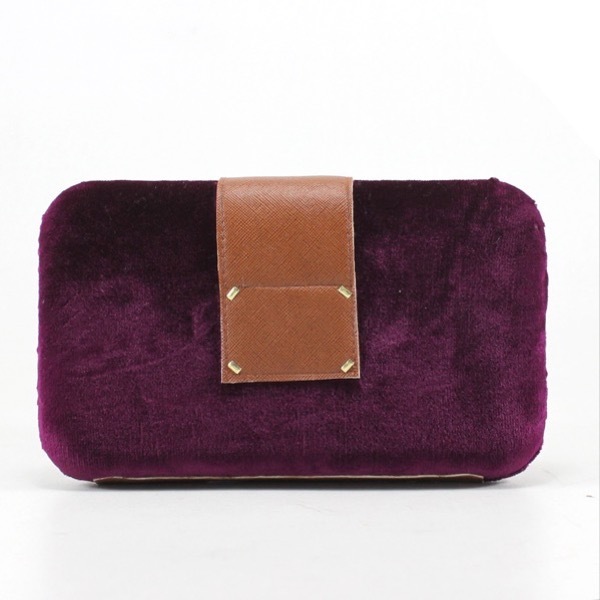 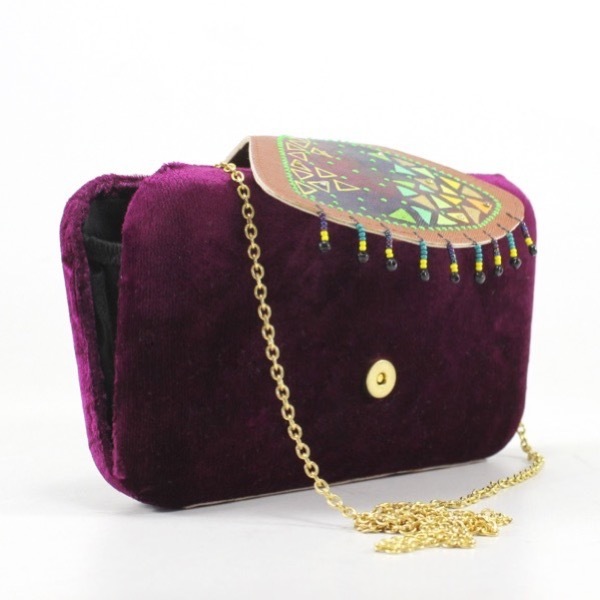 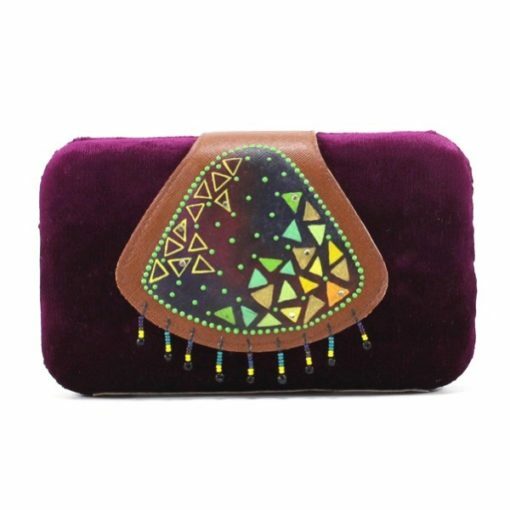 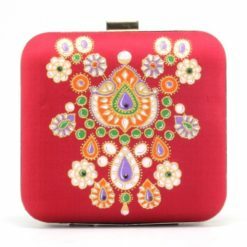 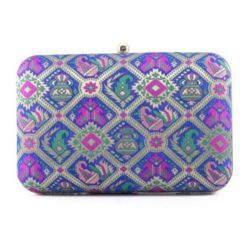 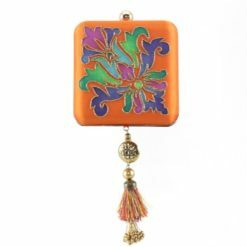 A velvet clutch with a hand-painted faux leather flap in quirky abstract designs. 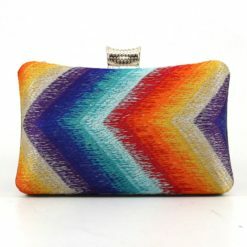 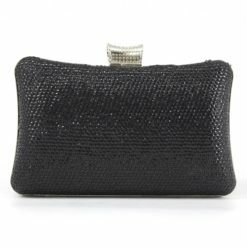 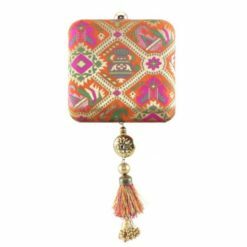 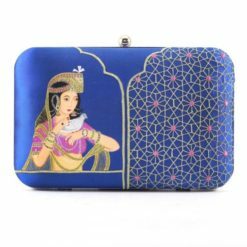 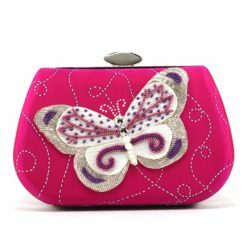 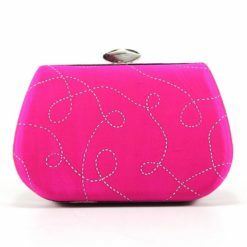 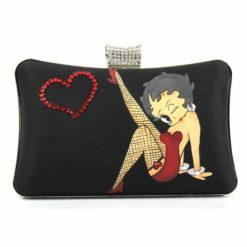 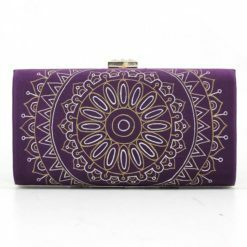 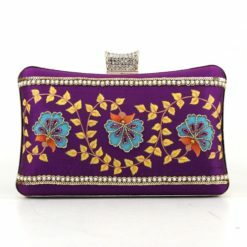 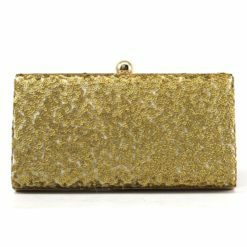 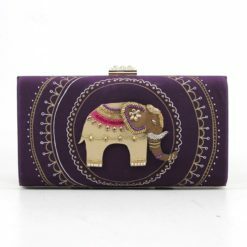 This clutch is easy to team with outfits for both formal and casual occasions. 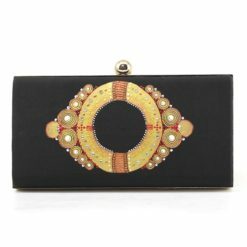 The clutch can be hand-held or hung with the detachable shoulder chain.